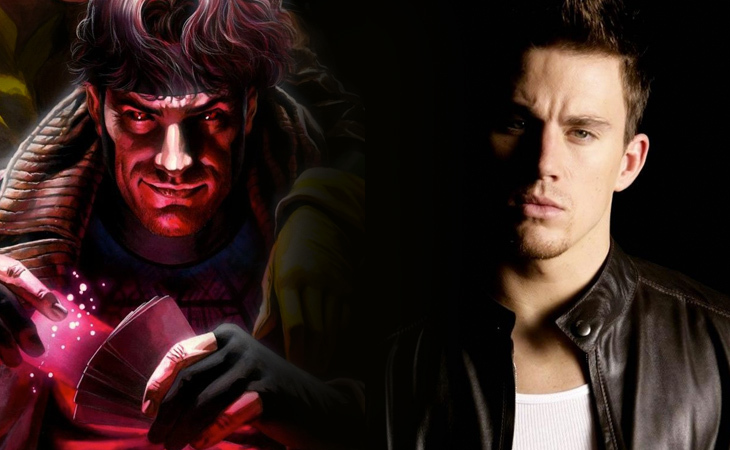 Does Channing Tatum Deserve Better Than a ‘Gambit’ Solo-Movie? Channing Tatum sure has come a long way as an actor. Early on in his career, I just couldn’t take him seriously. He had nothing to offer, outside of his charming face and impressive dance moves. His limited skills got him roles in bad films like G.I. Joe: Rise of Cobra, Dear John, and The Vow (sorry ladies). Through all the downs in his career though, he never gave up, learning from every experience, and continuing to give it his all. Until one day, a couple directors named Phil Lord and Chris Miller saw something in him that would make us look at Tatum a different way. That something was a natural talent for comedy. Since then, Tatum has increasingly become a better actor, slowly discovering the limitations of his acting range and working hard to surpass those. Collaborating with directors like Steven Soderbergh and Bennett Miller to help craft his performances, and take him to new heights. Yes, White House Down and especially Jupiter Ascending are just awful! But for every flop there came success in lead roles for 21 & 22 Jump Street, Magic Mike, along with limited appearances that were met with such high anticipation in G.I. Joe: Retaliation and The Hateful Eight. Of course, we all know what Tatum did in Foxcatcher, as even the most critical people of that film were impressed with his performance. All this led up to what might become his biggest role yet. Finally in 2014, it was announced that Tatum would join the comic book genre, getting his own film in the X-Men spin-off Gambit. I only knew the character from the popular 90’s X-Men cartoon series, where he instantly became a fan-favorite. Still, I thought this was a perfect match for him, because of who the character of Gambit is. He’s a smooth talking, “ladies man”, thief, who’s speaks with a heavy Cajun accent. 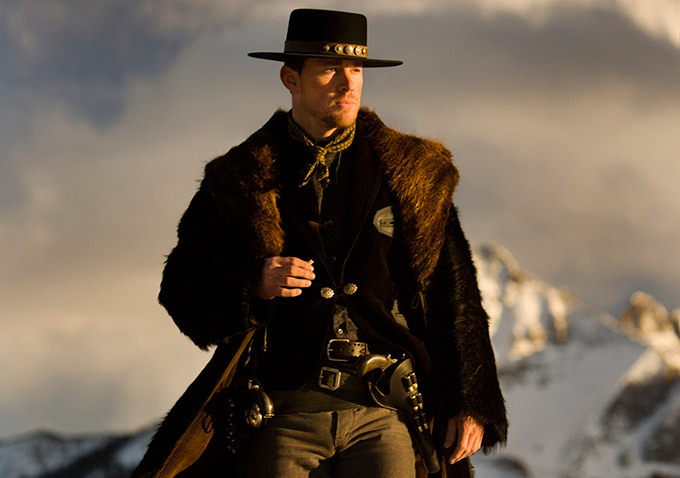 There have been numerous interviews where Tatum has expressed his excitement for playing the character. Here’s one from last year, which told me early on that Tatum as Gambit could turn out to be something special. As excited as Tatum was to play Gambit, the constant delays in production made fans less and less excited. Originally set to begin filming in late 2015, the film began hitting several bumps in the road. First, director Rupert Wyatt (Rise of the Planet of the Apes) left the project due to the studio fast tracking the film, causing scheduling conflicts. Then the initial budget for Gambit, which was estimated between $150-$200 million dollars, made the studio very uncomfortable, and therefore delayed production until a new budget could be decided. Months passed until a replacement director was finally found in Doug Liman (The Bourne Identity). However, budget cuts on the production caused further delays with the script. In March of this year, Gambit was officially moved from releasing this year, to sometime in 2017 or 2018. Since then, little progress on the status of the film have been made. Writer/producer Simon Kinberg continues to suggest they’re getting the script right, and that means finding the right tone. Then finally just this week, my fear for this project became a reality. It was reported that Liman pulled from the project, once again leaving Gambit without a director, and no release date. Now if I’m Tatum, I’m definitely upset at the departure of two high quality directors. In today’s golden age of comic book movies, getting offered a lead role has proven to turn out really good (for the most part). We all know what Iron Man has done for Robert Downey Jr. What Thor did for Chris Hemsworth. How the Black Widow character made Scarlett Johanssen the highest grossing actress of all-time. However those examples all come from what Marvel Studios has accomplished. Its a much different story for 20th Century Fox. Fox had less success making their comic book adaptations a springboard for the careers of their actors and actress. What good did last year’s Fantastic Four do for any of their lead actors? How much did the X-Men franchise help the Oscar winning Jennifer Lawrence, as opposed to the other way around? To be fair, Deadpool has put Ryan Reynolds back into the A-list conversation, while serving as a career resurgence for the actor. So there’s a little bit of momentum on their side, but can they go two for two with Tatum as Gambit? What other options does Tatum have in the comic book genre? A few roles came to mind outside of Fox’s Marvel properties. Now I’m no casting director, but bare with me. We know Warner Bros has planned a Green Lantern Corps, with the rumor being multiple human Lanterns. I could see Tatum as either Hal Jordan or Kyle Rayner, with his experience in both action and comedy. We also know that WB is doing a Shazam! movie, with Dwayne ‘The Rock’ Johnson already signed on as Black Adam. They’re currently looking for someone to fill the role of Shazam, and Tatum has previously worked with Johnson on G.I Joe: Retaliation, so the two have established chemistry. Or would you prefer John Cena? As for Marvel, the opportunities for Tatum are limited, because of how many characters they’ve already introduced. The only character with solo movie potential that comes to mind is Namor, which is a possibility. Again, I’m not a casting director, so spare me the hate messages. I’ll end this by saying that Channing Tatum absolutely deserves the opportunity to lead his own comic book movie. He’s come a long way, and has earned his shot. Now maybe Fox taking their time with Gambit is them realizing they need to take their universe more seriously. If that’s the case, then Tatum should be in good hands. However, only he and the studio truly knows where this project is going. He’s invested a lot of time into this project that’s only been getting further and further away from seeing the day of light. Hopefully the failures in Tatum’s career make him realize that opportunities like this don’t come around that often. He has to make sure this one is the right one.